This is the seventh of a series of weekly posts that covers my efforts to learn and create with Smith-Micro's Poser application. I'll share the information I learn, any tricks or tips I come across, and my thoughts on Poser as a creative tool. My goal will be to follow my interests as I become more familiar with the program. This weeks entry will be shorter than previous weeks as I'm preparing for the NVIDIA GTC conference next week. I'll share with you my ideas for a surrealistic scene and go over the basics of the materials room in Poser. Before we begin I want to clarify that I am using Poser Pro 11.1. 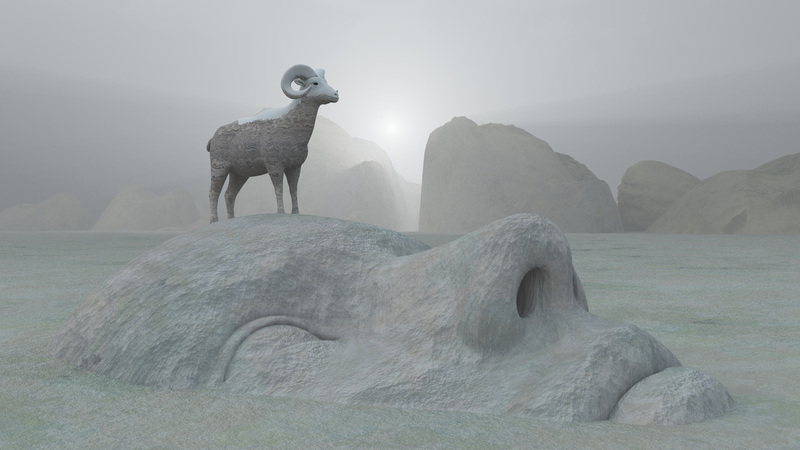 Smith-Micro created two versions of Poser: Poser 11 and Poser Pro 11. The difference is that Poser Pro provides advanced rendering, a fitting room for clothes and more. The price for Poser Pro 11.1 is $349. Updgrade from Poser 11 is $110. Full details at this link. As a creator, I try to avoid cliches and stereotypes in my work. I like images and scenes that are original. Originality, however, can often require more work. Poser is a perfect program to help make the work/creative process easier. Surrealism is an art movement that began in the first half of the 20th century and has continued to influence artists to this day. Essentially, surrealism uses dreams and the unconscious to determine the content of a particular artwork. It is a rebellion against realism and often juxtaposes odd objects in ways that are funny and strange. 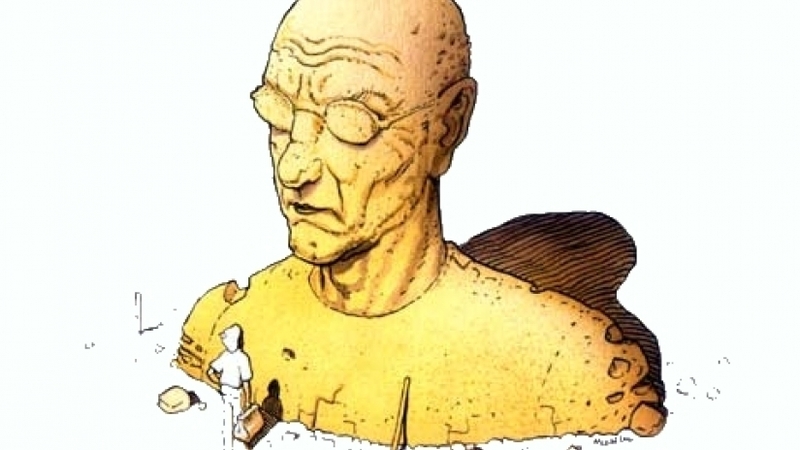 While thinking about the scene I wanted to create in Poser, I came across a book in my library by French artist Jean Giraud (Moebius). I've always loved his strange surreal comics. I discovered one scene that I wanted to create for this Poser project. What is awesome about this tutorial is that Bremmer shows just how powerful material creation is inside of Poser. Now I will have to work to figure out how to use bump maps to create irregular shapes on the larger figure in my scene to show age. And even though I'll start by trying to recreate the Moebius scene, I'm going to let my imagination go so the scene may not be an exact copy. The goal is to make a surrealist image that's dreamy with a large contrast in size between the figures. Color (and rendering) will be important too. Next week I will pick the figures I want to use, create the background and start posing. Then I'll switch to the materials room and start using nodes to get the scene to look the way I want it to. I'm going to avoid post work in Photoshop if at all possible.